For well over a century, the Aucoin family has run a farm in Kippens. The current owner says that could soon end. As you drive down Orchard Lane in Kippens, on Newfoundland's west coast, you see brand-new executive homes with manicured lawns. One after the other — to a point. It goes mansion, mansion, and then 400-pound pig. Tucked behind two large homes is the Aucoin family farm, which is not like the other homes in the area. "I have pigs, goats, sheep, hens, even a turkey — a wild turkey named Tom," said Gerard Aucoin with a grin. Aucoin also has on his hands some town paperwork that he says threatens his very way of life. The farm, and seven acres of land connecting it, has been in his family since 1895. 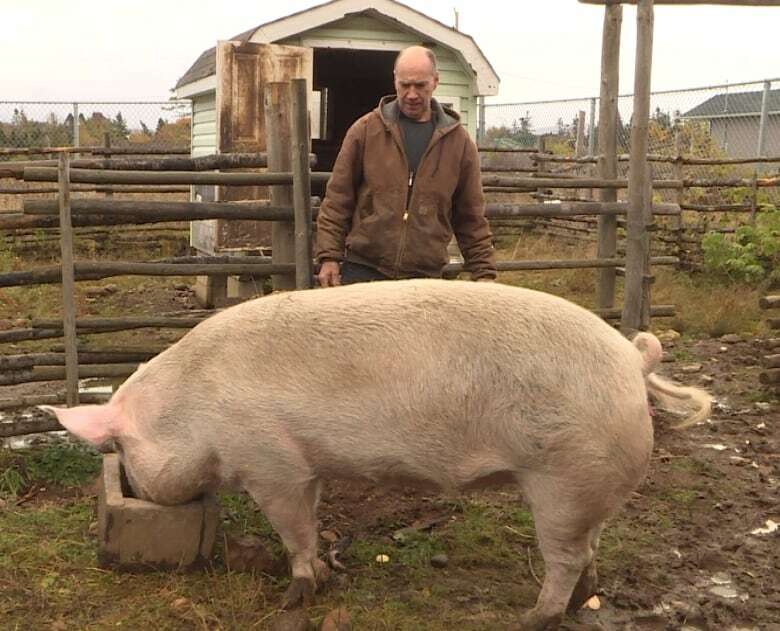 Aucoin and his wife Cora live here off the grid, and tend to their animals, grow vegetables and enjoy the farm life. In 2012, Millbrook Development Company started to put up a modern, sleek subdivision nearby. 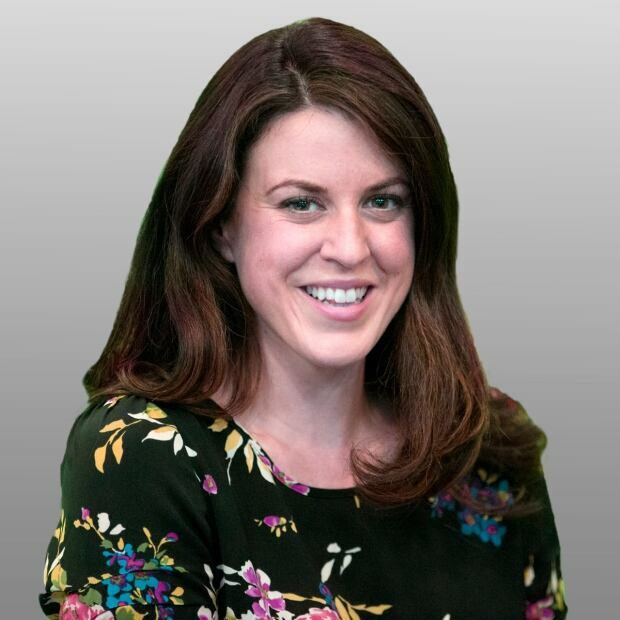 Around that same time, owners of the company offered to buy Aucoin's land. "It's my heritage and I am very proud of it," he said. Now, however, he's about to lose it all. 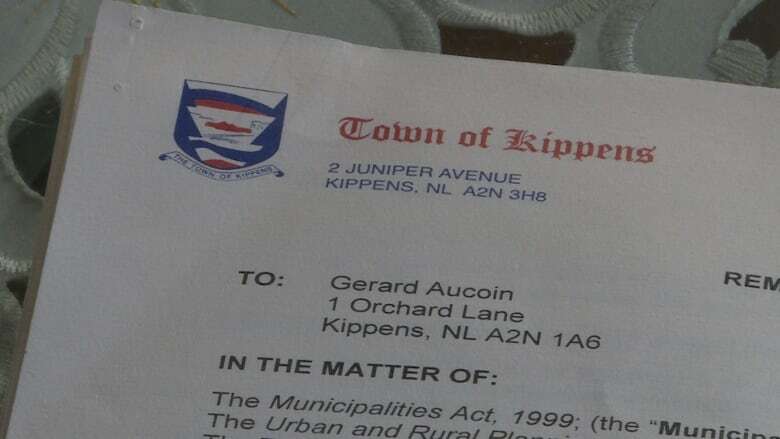 The Town of Kippens issued stop work and removal orders in March to Aucoin, although they have since been rescinded. But to the Aucoins' surprise, they received a second stop work order in the mail Oct. 16, with instructions to remove their signs, fencing and barn sheds, and to get rid of all the animals. "If you lose the links of this chain, it is going to collapse. I will perish," said Aucoin, who says that if he loses those things, he will be left with nothing. "There is no way. I would not live here if you take away the livestock. You kill the farm." No one with the town of Kippens or the Millbrook Development Company would answer calls from CBC. 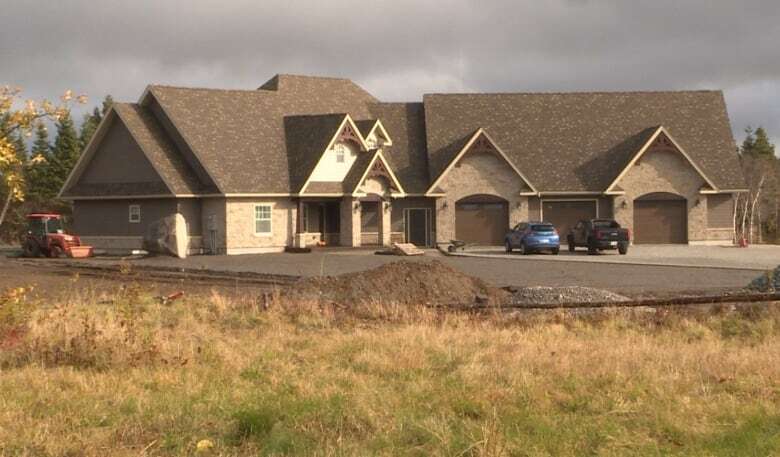 Aucoin — who says the town rezoned the land in 2012 to make it residential, and never told him — has until June 2019 to do as the town has ordered. In an interview, he said he couldn't believe the town mailed him documents stating everything had to go. "I was really shocked, dumbstruck. Now I'm putting pieces together and it's injustice," he said. "Without the livestock, I cannot continue my way of life. I'm an organic farmer who believes in biodynamics. I don't think it should be taken away." He says he believes some of the developers and some town councillors want him out of that subdivision. Aucoin said he can live with an obstructed view and mega-homes in the background, but wishes developers had put in some type of buffer zone. He plans on hiring a lawyer to help appeal the removal order. "I hope the town will leave me be."